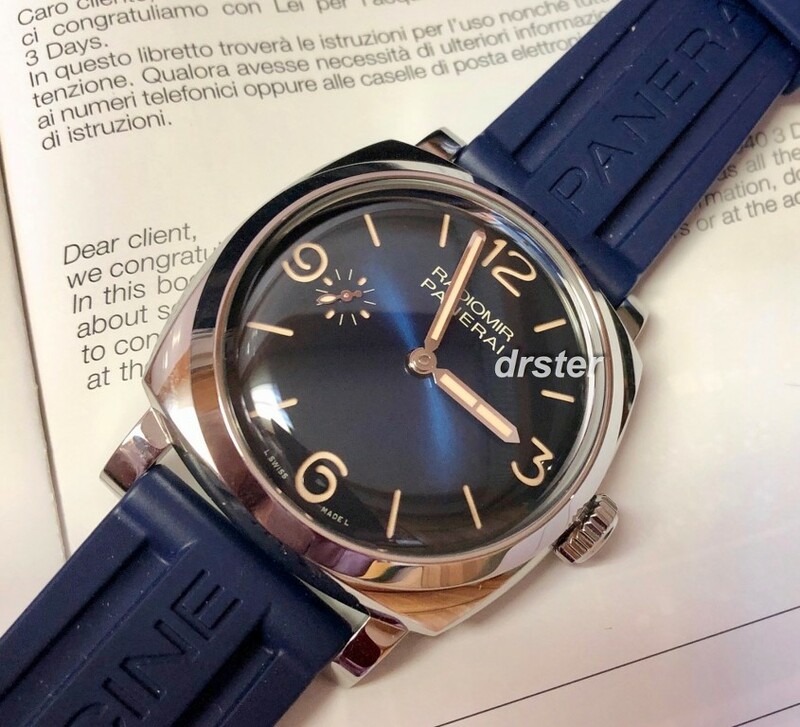 I have for sale (or trade) a Panerai 932 Radiomir 1940 Limited Edition in Stainless Steel. to 100m. The 932 features the in house Panerai P3000/1 hand wound 3 day movement. It's in mint 99% condition and runs flawlessly. Covered under Panerai warranty. This watch comes on the blue rubber Panerai strap seen here. You also receive a blue alligator Panerai strap. The in house movement can be seen through the sapphire caseback. This package includes triple boxes with blue wooden box, manuals, and warranty paper stamped by AD. Covered under Panerai warranty. Warranty dated October 2018. MY LOW PRICE: $9400.00. Includes US shipping.